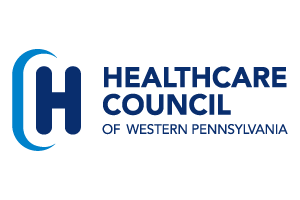 Healthcare Council is a partner in a Navigator Grant which was awarded in mid-September by the Centers for Medicare and Medicaid Services to the Pittsburgh-based Consumer Health Coalition. The Consumer Health Coalition received more than $500,000 to work with several regional partners on outreach, education and enrollment into the insurance exchange. As a partner, Healthcare Council will receive a part of this funding which will be used for Healthcare Council’s certified application assistant, Katie Montgomery, to continue enrollment work throughout 30 counties of the region as a navigator in partnership with the Consumer Health Coalition and other navigators. Healthcare Council has also received funding from the Jewish Healthcare Foundation and the Staunton Farm Foundation to do enrollment work. Healthcare Council is using these funds to assist individuals and families with enrollment and to also assist hospital members throughout the 30-county region with their enrollment and outreach initiatives. For more information contact Pat Raffaele at patricia.raffaele@hcwp.org.